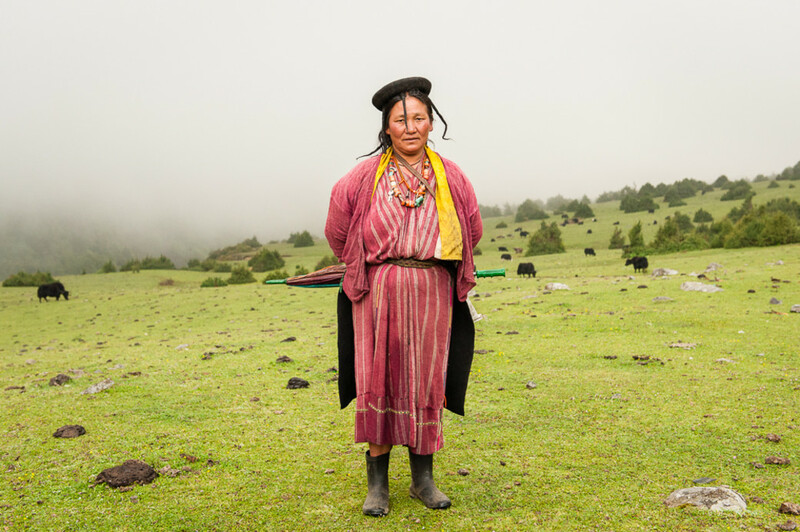 The Brokpa are an isolated community in the far east of Bhutan, where about 5,000 of these highland pastoralists live in and around the villages of Merak and Sakten. 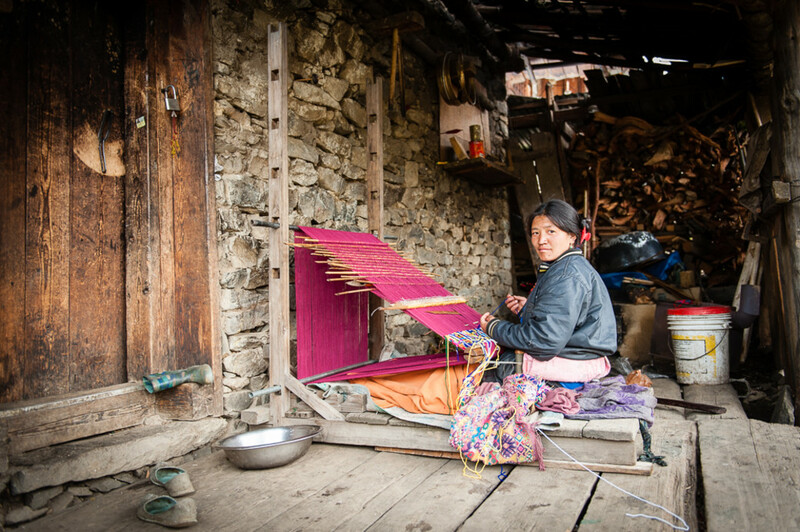 The Brokpa are ethnically distinct from other Bhutanese, having migrated through the Himalayas from the Tshona region of Tibet a few centuries ago, and their settlements are extremely remote: getting there requires multiple days of trekking and the crossing of a 4,300-meter (14,000-foot) pass. Well, it did. 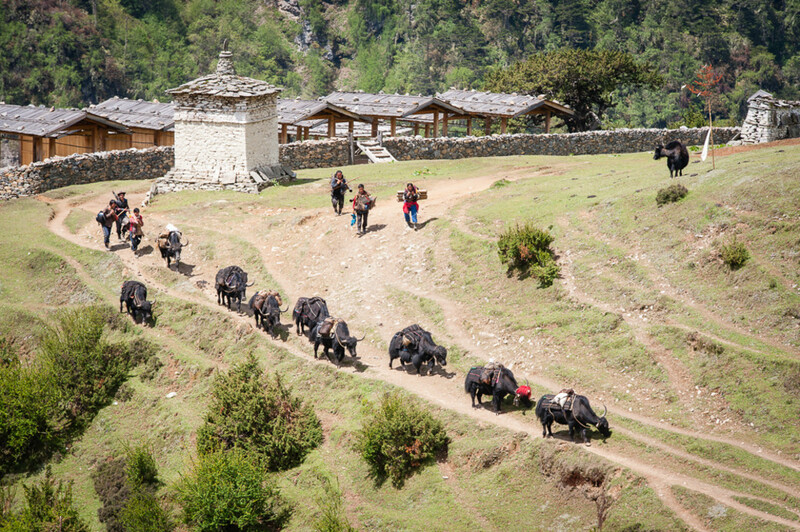 The first road to these traditional villages will soon be completed. 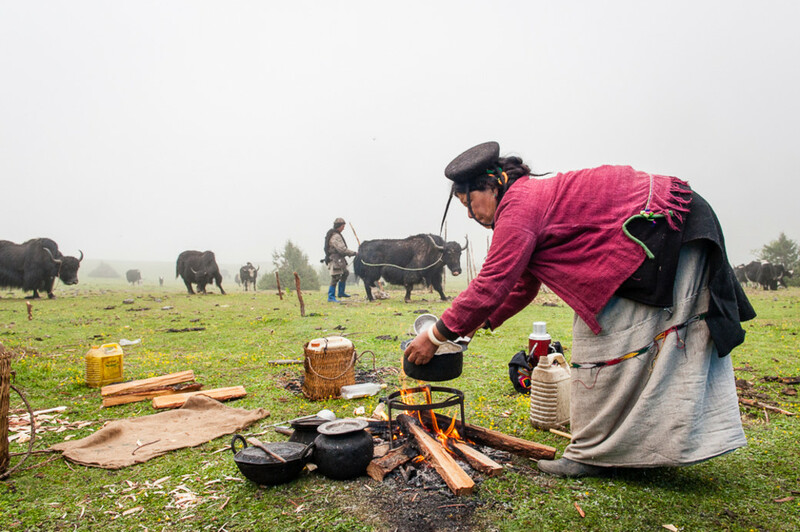 What that link to the outside world means for the Brokpa and their ways is impossible to say for sure, but easy to guess in general terms: some degree of modernization, and with that, a reduced reliance on the yak. 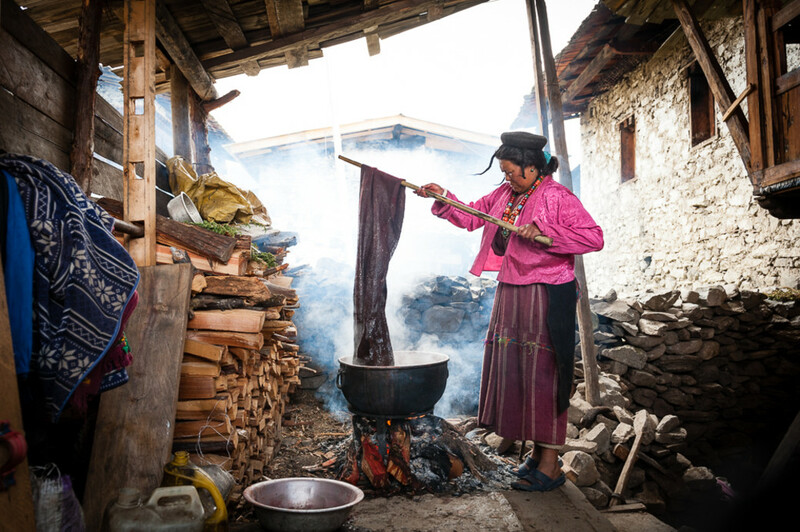 The Brokpa depend on their preferred animal for everything from cargo hauling to dairy products. They spin rough wool from its coat. 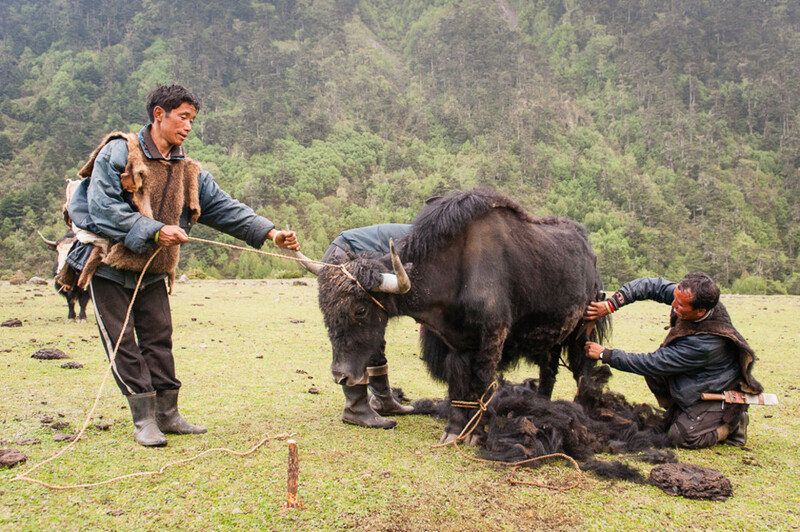 The black hat for which they are known, the tsipee cham—distinctive for its flat top and dangling twisted tufts—is made from yak felt. 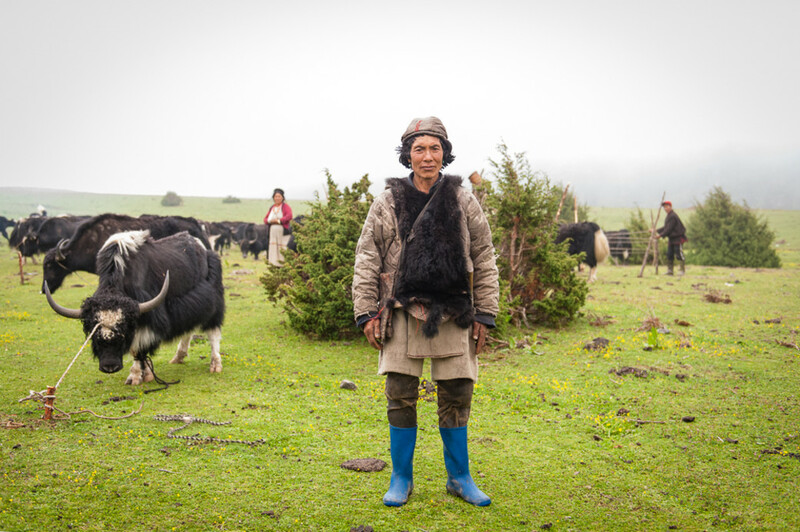 And though today's Brokpa have traded in their traditional felt footwear for rubber boots and their yak-hair tents for plastic sheeting, they still sit on cushions made of felted yak hair. 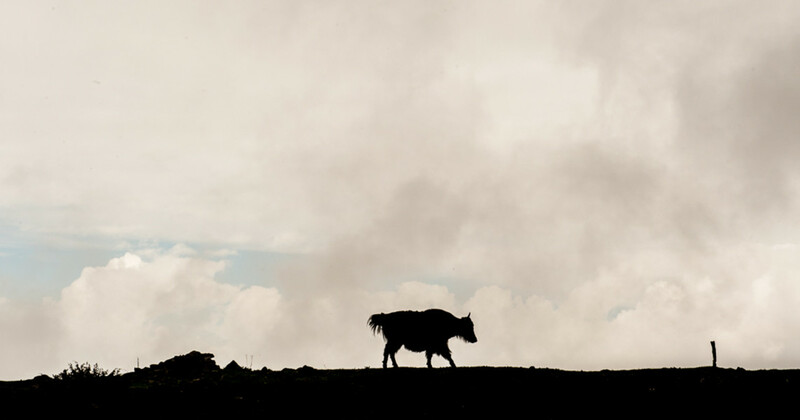 The needs of their livestock (the Brokpa also tend sheep) guide the movements of this semi-nomadic people. 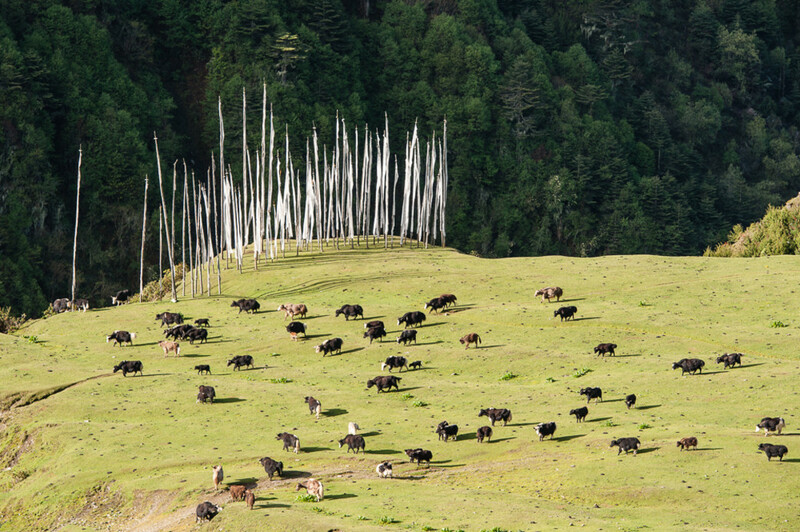 In summer, Brokpa herders lead their yaks into higher grazing areas. 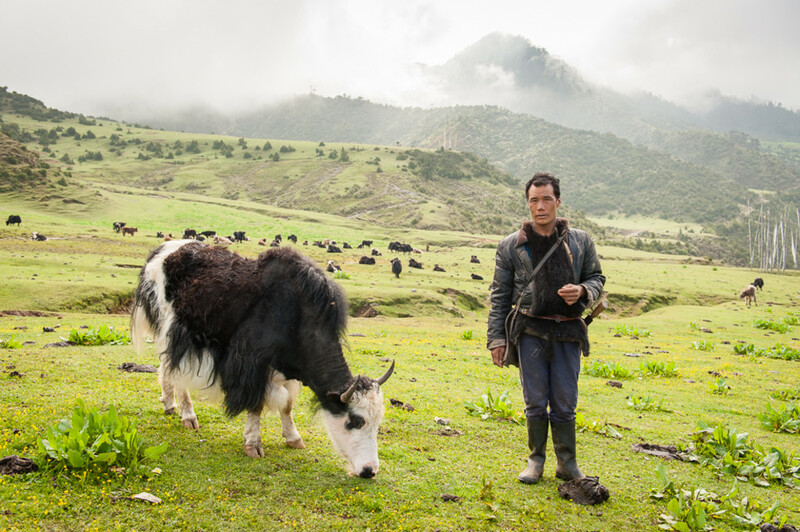 Around the time of the first frost, they descend into other villages to barter yak products—meat, butter, cheese—for items such as rice, salt, chillies, and kerosene. 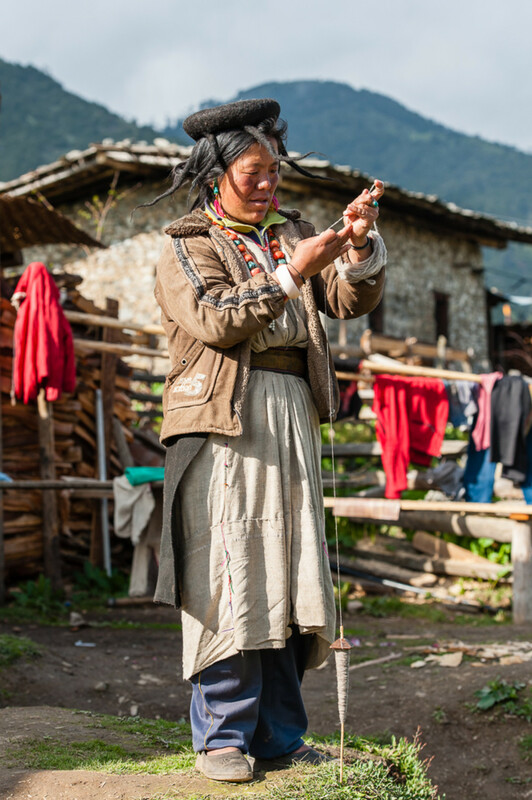 Brokpa women often function as head of household. It's not uncommon for a woman to take multiple husbands; marrying a set of brothers is an acceptable way to consolidate a family's land holdings, and also enables one brother to go into town and trade while the other stays home and minds the animals. He'll carry salt around in a leather pouch and leave a trail of it to keep the herd from straying. Despite the introduction, in 2012, of electricity and communal water taps, life in Merak and Sakten is very much as it has been for centuries. Only recently, with the arrival of the tourism economy, has the concept of money started to take root. 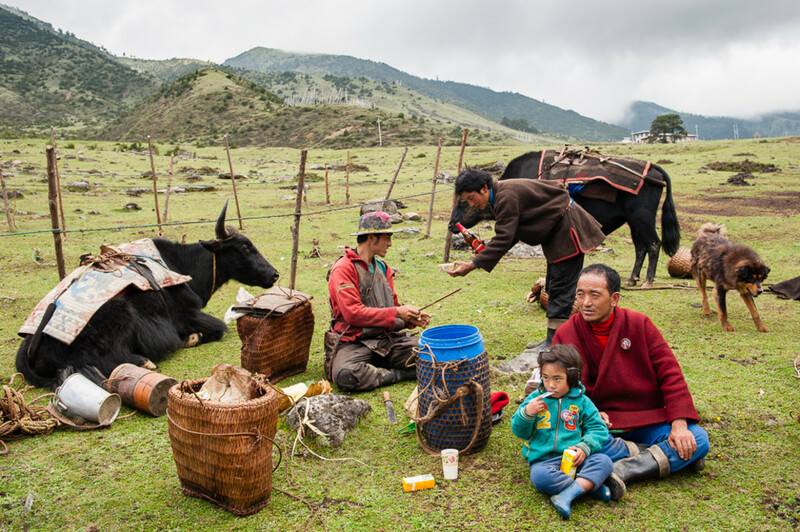 Embraced by many but certainly not all Brokpa, the new road will encourage these communities to see their culture as a commodity. Wealth, for better or worse, will be measured not just in heads of livestock.